Serve as a resource for information you are seeking or wanting to share. Be a sounding board for ideas for the OWU campus, your student organization, or yourself. To empower students by providing a challenging and supportive environment for personal growth and leadership opportunities. To facilitate students’ developmental process of becoming an active and productive adult citizen with a personal mission. Dr. Todd leads Ohio Wesleyan’s efforts to sustain a vibrant campus community for students and to support students’ learning and development goals. As OWU’s Title IX Coordinator, Dr. Todd also oversees campus efforts to prevent and respond to incidents of gender discrimination and sexual misconduct. 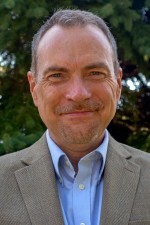 With a higher education career spanning over 25 years, Dr. Todd previously served as vice president for student affairs at Columbus College of Art & Design (CCAD), MBA assistant program chair at Franklin University, and various roles in residence life and student development services at Texas Christian University. 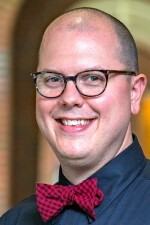 Dr. Todd is actively involved in several professional organizations, including ACPA–College Student Educators International, where he served in several Governing Board roles. 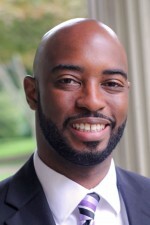 Additionally, he is a past president of the ACPA Foundation and of the Ohio College Personnel Association (OCPA) and is a member of NASPA–Student Affairs Administrators in Higher Education, the Association for College and University Housing Officers–International (ACUHO-I), and the Association for Student Conduct Administration (ASCA). He maintains active involvement with his national fraternity, Pi Kappa Phi, serving in roles that have included Membership Education Committee chair, Pi Kapp Pride chair, chartering officer, chapter advisor, and regional governor. Dr. Todd earned his PhD in higher education administration from The Ohio State University; Master of Divinity from Southwestern Theological Seminary in Fort Worth; and Bachelor of Music from Samford University in Birmingham, Alabama. 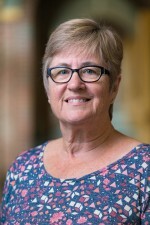 Koyle serves as the Associate Dean for Student Success at OWU. His primary responsibility is to ensure that students experiencing personal and academic challenges receive the assistance they need to remain in school and graduate. In that role, he oversees the areas of counseling services, student conduct, and residential life. In addition, he serves as a liaison to the student health center (operated by OhioHealth) and helps to lead both OWU’s care and concern team and its retention intervention team. Koyle earned both his bachelor’s and master’s degrees from Ohio State, and joined OWU after serving as Assistant Vice President for the Office of Student Life at Ohio State. Koyle’s key responsibilities in that role included overseeing the student conduct department, student advocacy center, recreational sports, the student wellness center, and the student health insurance department. He also provided support for student services on OSU’s five regional campuses and chaired the consultation and assessment team, which reviews student behavioral threats and advises university leadership on appropriate strategies for response. Koyle joined the OSU staff in 1987 as the coordinator of summer conference and orientation housing. He later served as Ohio State’s manager of off-campus student services, associate director of housing services, general manager of The Blackwell Hotel, director of administrative services, and assistant to the vice president of student life. Professionally, Koyle has been a member of the American College Personnel Association, the Association for Student Conduct Administration, the Association of College and University Housing Officers, the Association of International Educators, the National Association of College Auxiliary Services and the Association of Threat Assessment Professionals. Pulcini oversees Ohio Wesleyan’s office of student involvement (to include: clubs & organizations, fraternity & sorority life, campus activities, student leadership development, club sports & intramurals), office of community service and learning, and marching & spirit bands. Brad also works to enhance programs and initiatives to help first-year students successfully adjust to college life and leads the university's retention intervention team. He is recognizable on campus by his vast collection of bow ties. Pulcini previously served as director of gateway operations for Central Ohio Technical College in Newark. In that role, he served as the chief enrollment officer overseeing the college’s offices of advising and retention, admissions, and student records & registration to support student retention and graduation. 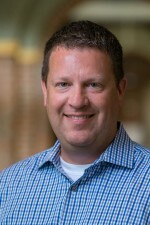 He has also worked as director of law school enrollment, director of retention, and assistant director of undergraduate admissions at Capital University located in Bexley, OH. Professionally, Pulcini is actively involved with ACPA - College Student Educators International, where he currently serves as chair-elect for the Commission for Admissions, Orientation, and the First-Year Experience. Additionally, he is a member of NASPA - Student Affairs Administrators in Higher Education, and OCPA - Ohio College Student Personnel Association. He is also a brother of Alpha Tau Omega. Kellom (he / him / his) is the Assistant Dean for the Office of Multicultural Student Affairs (OMSA). OMSA enriches the culture of social justice at OWU by educating, supporting, and advocating on behalf of marginalized students, particularly students of color, LGBTQIA students, first-generation students, and/or low-income students. Before coming to OWU, Charles worked at Northwestern University in two roles. First as the Director of African American Student Affairs for three years beginning in 2011, and then being named the overall Director of Multicultural Student Affairs in 2014. Before that, he served as the Assistant Director for Black / African student support in the Office of Diversity Programs & Services at George Mason University, and as an Area Coordinator for the first-year student experience at the University of Dayton. Professionally, Charles is an active member of NASPA - Student Affairs Professionals in Higher Education. Originally from Cincinnati, Ohio, Charles earned both his Bachelor of Arts degree in Journalism and his Master of Arts degree in English from the University of Dayton. He is a father, writer, and avid fan of all things creative. He is also a member of Kappa Alpha Psi Fraternity, Inc.
Fogle provides support for the Deans. She is also the first face students will see when they visit the Office of Student Engagement and Success, located in room 209 of the Hamilton-Williams Campus Center. She has served OWU for over 20 years and is a wealth of knowledge. She prides herself on making sure she is able to provide students and their families with the answers they are seeking and making sure they are getting to the right place.